Pricing: One on one: $60–$80/hour (depending on location). Group of two: $100/hour. 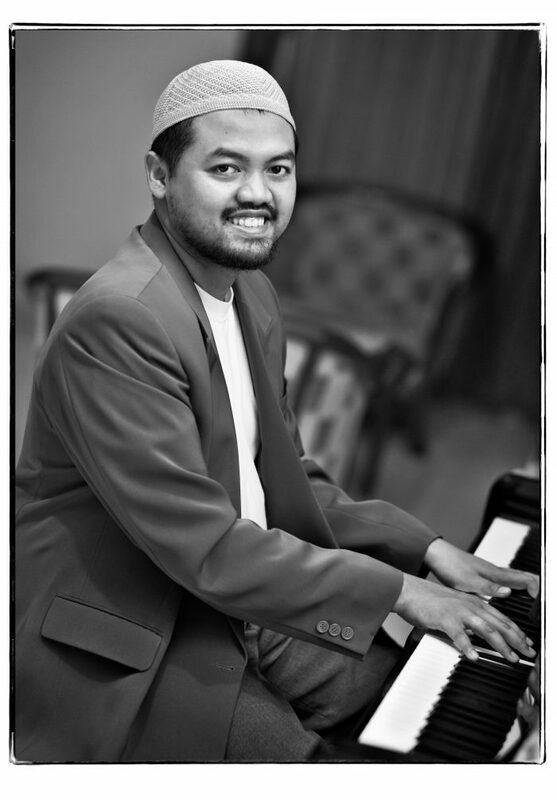 ade ishs is a composer, a pianist, and a bandleader residing in Melbourne, Australia. His musical style revolves around contemporary jazz, classical, folk, and meditational. ade has recorded several albums under his own name. His music has been described as “strong … and beautiful” (Ivan Lloyd, ABC Jazz), “sensational and colourful” (Angela Jones, Inner FM), and “expressive” (Steve Sedergreen). After living his formative years in Indonesia, ade migrated to Australia. He has performed with Dung Nguyen (Way Out West — Australia), Geoff Kluke (Australia), Daigo Nakai (Germany), Benny Likumahuwa (Indonesia), Candra Malik (Indonesia), Reyharp (Germany), ​Zamil Idris (Malaysia), and many other musicians in Australia and Indonesia of various genres. His versatility has made him a top choice in other bands, from standards to contemporary jazz to pop. He has been invited to play at such prestigious festivals as Wangaratta Festival of Jazz & Blues, St Kilda Festival, and Eltham Jazz, Food & Wine Festival. More recently, he served as the musical director of Celebration of Indonesia 2017, a musical depicting various Eastern Indonesian cultures in the forms of music, dance, and drama showcased to a packed crowd at the Melbourne Town Hall. His current main ensemble is The ishs/Allen Project, led by himself and his closest collaborator, Chelsea Allen. Recently, they released their sophomore album called Stories Under the Sky. The group and their music have garnered critical acclaim from Australian and international media: “very accomplished” (Tom Tom, USA, April 2015), “cracking” (Eastside FM Sydney, Australia, April 2015), “very uplifting” (Jazzwise, UK, March 2015), and “life-affirming” (Loudmouth, Australia, September 2017). Want to learn how to improvise? Want to improve your improvisation? Learn from an experienced recording and performing artist! I am well known as a composer and jazz improviser who is also well-versed in various genres. In addition to that, I’m also classically trained, and therefore I can provide guidance in both practical and theoretical aspects of jazz improvisation and music in general. You will have to have had a good skill in music performance and theory prior to starting your lesson with me. You can get lessons in scales, harmony, analysis, and various aspects of musical vocabulary, and most importantly, how to apply the knowledge in performance. Melbourne North: My home studio in Roxburgh Park, Vic. Melbourne East: Burwood Music Centre, Burwood, Vic. I can come to your home/rehearsal studio if there’s a piano (if needed) and you’re willing to cover my travel cost (depending on your location). To inquire, fill in the inquiry form, email lessons@adeishs.com, or fill in the contact form on this page. Are you a music teacher? Grow your business and secure your music teaching income with regular student enquiries from Melbourne Music Teachers. A listing on Melbourne Music Teachers does not imply our recommendation or endorsement. It is your responsibility to verify music teacher or accompanist registration and music teacher or accompanist security details.